Upgrade is absolutely brutal, stylish and twisted. A celebration of the macabre! Amidst all the big budget superhero movies releasing one after another all summer, Upgrade was an indie gem that mostly went unnoticed. 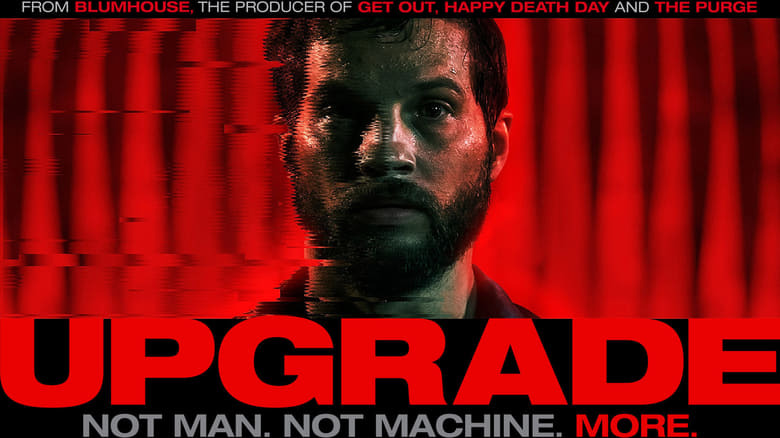 But if you are in the mood for a tightly scripted riveting and gory action romp, then Upgrade is the perfect movie for you. Coming from BlumHouse studios that brought last year's genre-bending breakout hit Get Out, Upgrade is another victory for the studio house that specialises in low budget horror flicks. Set in the future, Grey Trace is a mechanic who prefers to work with his hands rather than let machines do the job for him. After a freak accident, Grey and his wife are assaulted by unnamed goons who kill his wife and leave him paralyzed below his neck. Eron is an ultra rich technological wizard who invents a powerful chip called STEM that can basically do any task assigned to it. Grey gets STEM implanted in his body and he is immediately turned into an agile being with superhuman strength due to the chip's control over his nervous system. The catch in the story is that the chip has a mind of its own and it starts talking to Grey. Together they set out to trace his wife's murderers and get revenge. The premise is very similar to the upcoming movie Venom. The premise isn't new but it has been efficiently utilised in Upgrade. The twist in the ending is something to look forward to. The futuristic world is intriguing, further made interesting with the inclusion of other biomechanical humans. Upgrade is not for the squeamish. The movie is extremely gory and has elements of body horror. Violence though minimally used, when happens explodes with highly choreographed action sequences with plenty of blood and mutilations that can make you squirm. The cinematography is top notch and the music is effective. The acting is good, especially the lead actor Marshall-Green is terrific. So if you are bored of pg-13 action movies, watch this R-Rated sci-fi action romp that is intriguing and entertaining at the same time.